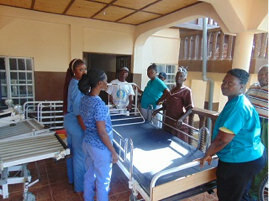 Fulawahun Clinic in Bo is a maternity clinic for rural women in Southern Sierra Leone. The clinic has been one of our main partners for two years now where we have provided both medical equipment and medicines. The clinic has recently had a new department for physiotherapy to help rehabilitate people who have suffered or are suffering from mobility related illnesses. 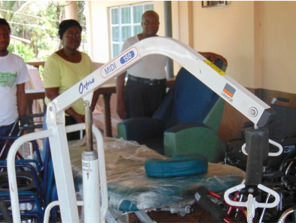 However, the new department lacked physiotherapy equipment, and it was extremely timely that we intervened. It is a major boost for the clinic as they provide free services to the entire Bo city and the surrounding villages. We aim to fully equip this centre to enable them to provide extended services to the community. 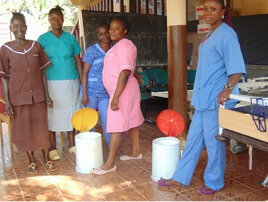 In Bo we work with the Fulawahun Clinic, a maternity clinic that caters for rural women. 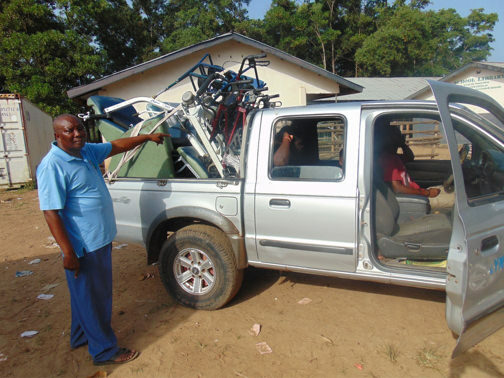 Mr Turay in receipt of a load of physiotherapy equipment going to the Bo clinic (Southern Sierra Leone). 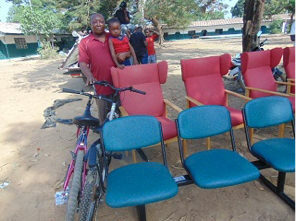 We give out additional items including quality hospital beds, medical bins, high-back chairs, reception chairs, and bicycles to be used by outreach workers. The clinic also has a newly extended area for physiotherapy. 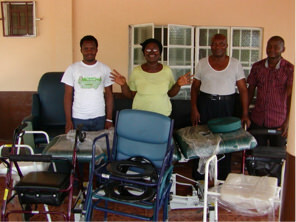 We give out high-value physiotherapy equipment to the centre that provides free services to the rural poor. 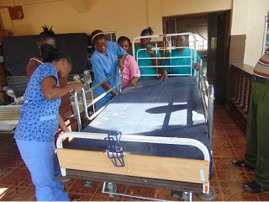 Items donated to the clinic include the much-needed massage couch, commodes, Zimmer frames, crutches, walkers, hoists and slings.